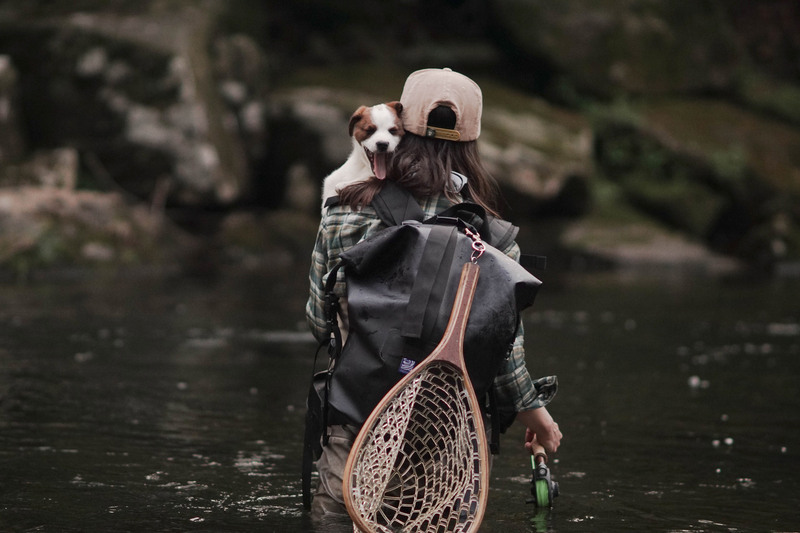 If you have a dog, you know they are not only man’s best friend but also some of the best adventure mates. They are always down for some time outdoors, and are more than ready to jump at the opportunity to make their fur parents proud. But, if you have a new pup, or are thinking about bringing your dog out on the water for the first time, there are a few things you should consider to help makes your pal’s first time on the water a great one. Many people believe that dogs are natural swimmers and therefore shouldn’t need a life vest. 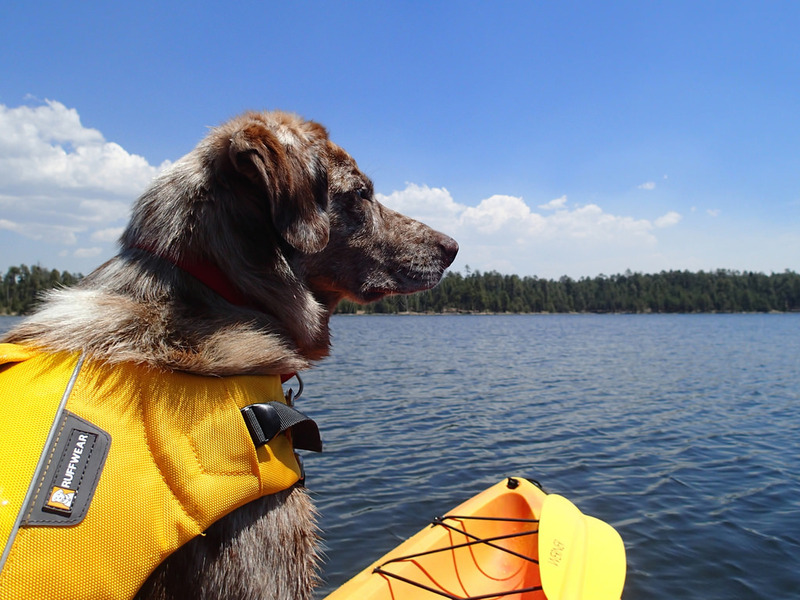 However, if you are going on a longer trip or will be in deep water with your boat, your pet should definitely be in a puppy life jacket that fits properly. You wouldn’t want to take a chance with your bestest pal getting caught in rough water or knocked out of your boat! 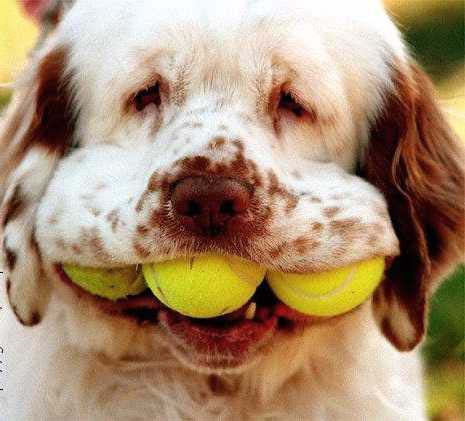 Not sure where to start with finding the right size or fit for your dog’s breed? You can find all kinds of tips before your next water outing here. Painfully cute dog visor optional, but totally recommended. 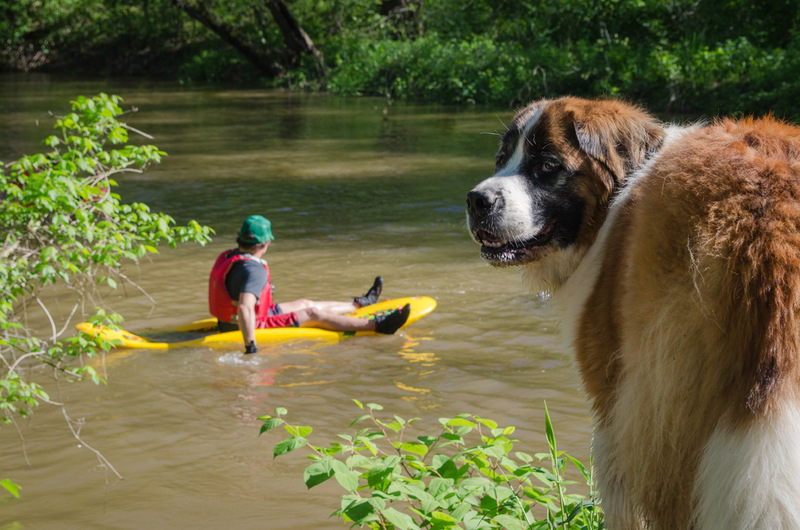 This may seem like an extra step, but taking the time to get your dog comfortable with your boat, kayak, or paddle board while you’re still on land will help your pup feel more at ease when they are in the water. 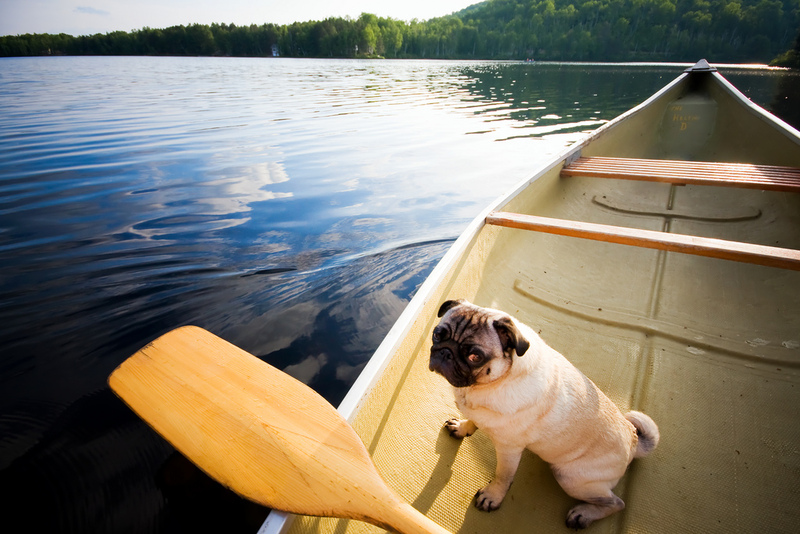 Spend time sitting in the boat with your dog before you push off, hold your paddle, cast your fishing rod, and show fido that none of your boating equipment is a threat to you or them. Plus, you will find out if your dog is likely to pursue your line while you’re still on land so they don’t plop into your favorite fishing spot chasing after the first cast. Of course your pupper is the smartest, and knows all of the tricks already, but “sit,” “lay down,” and “stay” take on a whole new meaning when you’re in a moving vessel on water. Spend a few extra minutes on dry land, or make a special trip and stay docked to work on a few special boat commands with your dog. Especially when and where to “go” when nature calls. Dogs are less nervous when they are given a task to focus on, so giving them a few commands to stick to while you’re out on your adventure will keep them smiling the whole trip. As fabulous as their coats look all year long, they do cause our furry friends to absorb the sun and get hot much faster than we do. 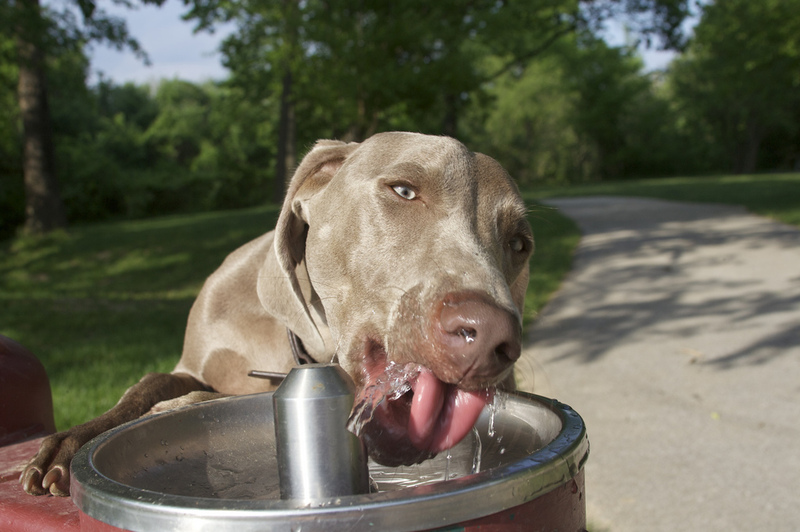 If it’s possible, try to make some shade for your dog to rest in on your aqua adventure. Along with their bodies, their noses and the pads of their feet get hot very quickly especially in the glorious summer sun. Apply a bit of sunscreen to their muzzles, ears and noses (the areas most prone to sunburn) to keep them from burning. 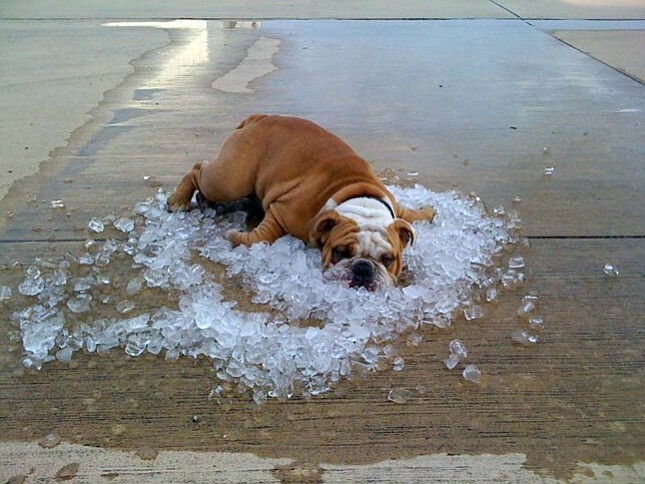 Also, be mindful of that hot tin bottom on your pontoon and give doggo a cool place to stand/ lay down. On top of giving them plenty of command to keep them occupied, if space allows it’s also a good idea to bring some of their favorite toys to provide comfort and entertainment while you’re on those long, quiet, still fishing trips. You know how hard it is to keep your significant other entertained out on the lake, you want to make sure your best bud is happy to come with you for many trips to come. The most important tip for bringing your best puppy friend out on your water adventure is to make sure you’re giving them plenty of it. Bring an extra bottle to ensure they have plenty of noggin’ water! Bringing your furry friend out on the water with you can mean a little extra practice and planning, but it’s worth for the time you and your best pal get to spend together doing something you both love!